There truly is great children’s furniture available these days. Lots of stylish tables and chairs for the mini-minimalists. I really love this table and chair set from Collect Furniture. 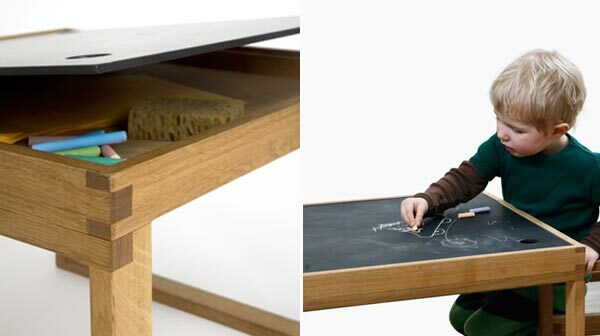 Not only does it look great and suit most styles of room, it’s also a two-in-one product – the tabletop being a chalkboard as well. 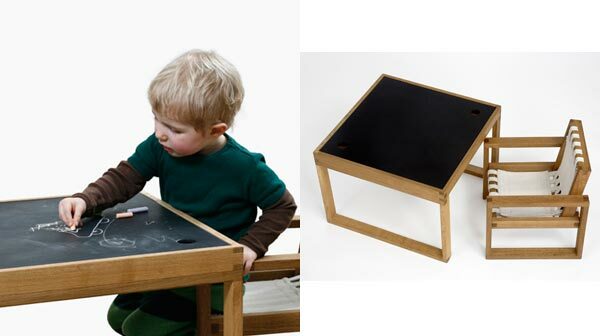 The Frame Table for tots aged 1 to 5 years allows little ones to sit opposite each other and draw on the chalkboard; directly under the board is a storage space for chalk, paper and other important things. You can even lift the board off to display important artwork before attacking it with a duster. Love it!